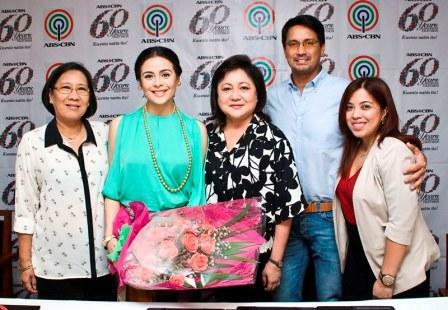 Richard Gomez and Dawn Zulueta Return Romance on the Movie, John Lloyd Cruz and Jessy Mendiola Join the Tandem! The ultimate love team of Richard Gomez and Dawn Zulueta will soon invade the big screen via a new romantic movie this 2013 as part of Star Cinema’s 20th anniversary year-long celebration. Richard and Dawn signed a contract with Star Cinema recently after the success of their love team’s comeback in the hit teleserye “Walang Hanggan,” where they played the roles of Marco and Emily, respectively. “I feel proud to be part of Star Cinema’s anniversary. It’s a great year and a great time to be with Star Cinema and Dawn. This project is going to be very exciting,” said Richard. For her part, Dawn said that she is quite nervous since it has been years since she and Richard have made a movie together. The stars also revealed that John Lloyd Cruz and Jessy Mendiola will be part of the cast. 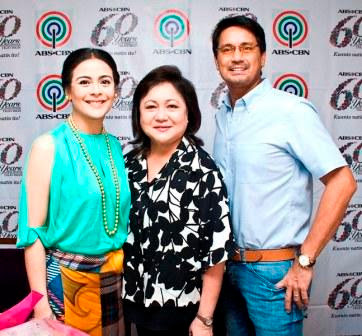 Both Dawn and Richard expressed their excitement to work with the younger stars. “The last time I worked with John Lloyd was during the sitcom ‘Palibhasa Lalake,’ so I am so excited to have a reunion with him,” said Richard. Dawn added that she really wants to have a project with movie box-office star John Lloyd and "Paraiso" leading lady Jessy. Richard and Dawn's movie, which is a combination of family drama and love story, is written by award-winning screenwriter Ricky Lee. The story will be about a husband and a wife who are trying to save their marriage and revive their lost love. Principal photography will begin in July.